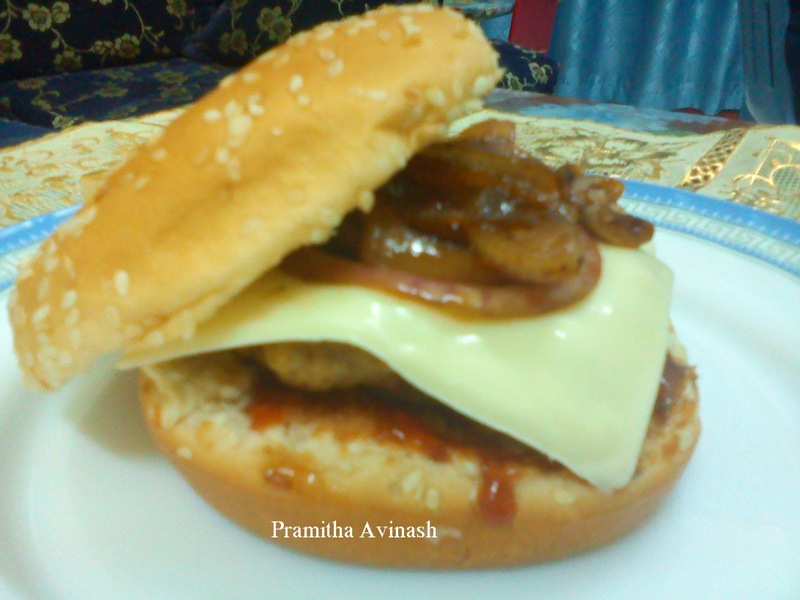 Here you have a wonderful beef burger,with this recipe you can easily make 6 patties. 1.To the minced beef ,add all the ingredients given below the patties.Mix it verywell and keep it for 10mins. 3.Heat olive oil(2-3tbs for frying two burgers at a time) in a frying pan. Add the patties, fry both sides in a low flame until brown color.It takes 10-15mins to be done. 4.Next step we are going to caramalise the onion,so heat 1tbs olive oil in a pan add the onions , barbecue sauce , soyasauce and a pinch of salt.Saute the onion for 5mins.When it is ready,switch off the flame and keep it aside. 5.Now cut the burger into two halves. 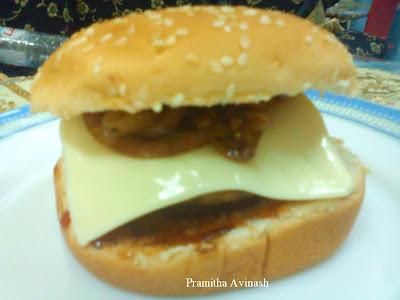 6.Apply 1tbs mayonnaise,1tbs tomato sauce,slice of tomato ,then beef burger,slice of cheese then place the caramelized onion and the other half bun.Now you can have the juicy and delicious burger.